This subtle social history tells the lives of the people. It is precious because it truly paints a picture of the times we live in. What’s great about the Pokies are the pretty pictures and the music, The Black Rhino or Wild Africa and the Cougar one, they’ve got beautiful animals on them. So this group of pregnant young women would walk down the main road, down to the shops in Fairfield. We must have looked like quite a circus show, it was very embarrassing, very shaming. 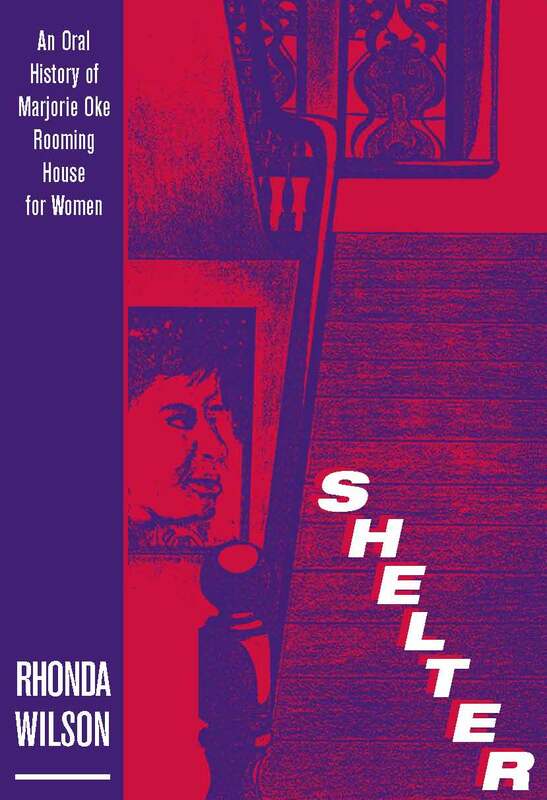 Shelter, An Oral History of Marjorie Oke Rooming House for Women, tells in their own words those women’s stories which we would prefer kept hidden. There is a big red brick house in Station St in Fairfield, Victoria. It used to be owned by MacPherson Robertson who made his fame and fortune in chocolates. It is strange that a house built on so much sweet sugar and cocoa would over time house so much sadness and pain. This oral history of MarjorieOke Rooming House for Women shines a light on individual lives but also shows us society's changing attitudes between the 1950s and the present, from a time when single women had their newborn babies taken away from them for adoption to a time when even the most marginalized women are offered support and shelter in a comfortable rooming house. This subtle social history tells the lives of the people. It is precious because it truly paints a picture of the times we live in: the traditions, the culture. It fosters respect for the way people speak: the rhythms, the colloquialisms,the turns of phrase that characterise a particular people at a particular time. An actor, theatre director and teacher, Rhonda Wilson’s earlier oral history, Good Talk, The Extraordinary Lives Of Ten Ordinary Australian Women, was nominated for the Victorian Premier’s Prize in Australian Studies.